A place where time stands still and peace reigns supreme. Immerse yourself in a spa that places your well-being and rejuvenation at the center of all we do. Highlighting French-Polynesian traditions, highly trained therapists offer revitalizing body treatments, soothing massages and purifying facials using advanced techniques and organic ingredients. In their hands, you will see and feel immediate results. Whether you receive your personalized care indoors or within one of the secluded outdoor cabanas, the tranquil Polynesian setting further soothes your senses and imbues you with a deep sense of relaxation. Among our spa services are two brand-new innovations in anti-aging and wellness. Oxygen Therapy accelerates cell regeneration, enhancing recovery from injuries and improving the luster of your skin and hair. Fast-acting and safe, Revitalife Drip is a state-of-the-art intravenous treatment that delivers vitamins, amino acids, hormones, DMSO (dimethyl sulfoxide) and/or MSM (methylsulfonylmethane) directly into the body for 100% absorption. The numerous benefits range from boosting the immune system and correcting hormonal imbalances to relieving joint pain and healing the gastrointestinal tract. Before or after your treatment, spend some time and explore all that Sofitel Spa has to offer. The 2,500 square meter sanctuary features six distinct pools, including a plunge pool, experience pool, therapeutic pool and an outdoor infinity pool. For your comfort and privacy, the spa has separate zones for women and men – each with its own indoor pools, sauna, hammam and steam room. After a heat treatment, discover the refreshingly cool delights of the spa’s ice fountain. The salon, which is also segregated by gender, offers exceptional beauty and grooming treatments from head to toe. Restore balance. Revive your senses. 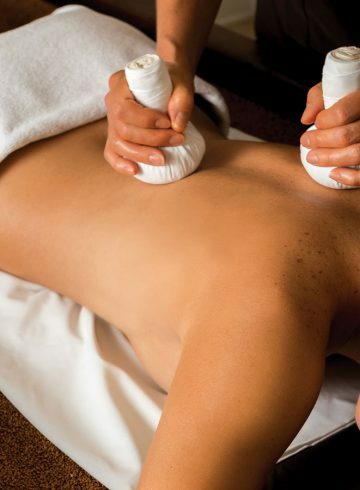 Discover all the ways Sofitel Spa can breathe new life into your body and soul.